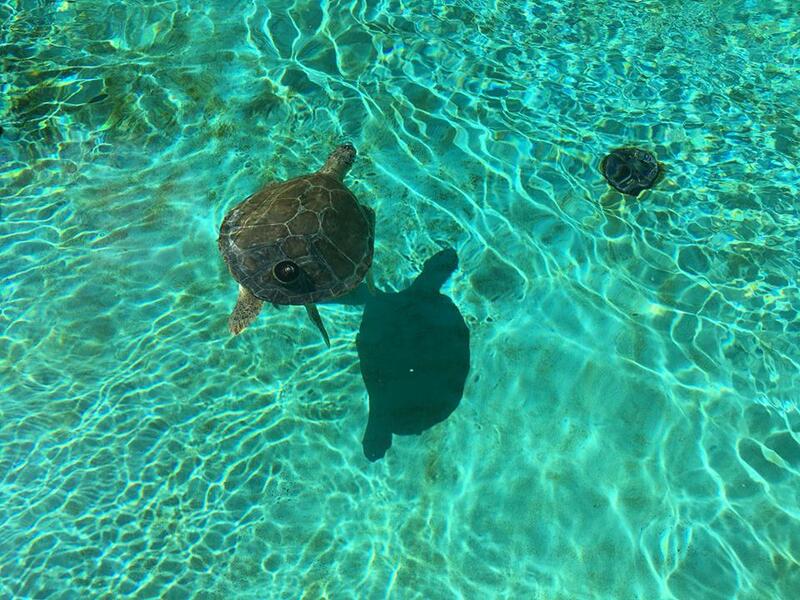 Nova Southeastern University’s (NSU) Marine Environmental Education Center (MEEC) at the Carpenter House is dedicated to understanding and protecting one of the ocean’s most beloved creatures – the sea turtle. 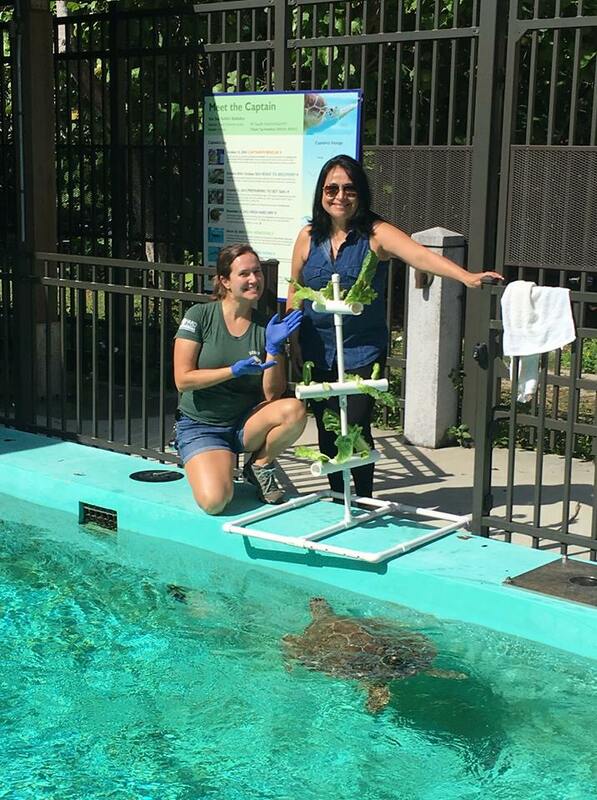 As part of their mission, MEEC staff interact with visitors year-round educating them about these majestic animals, and part of those efforts include the center’s “forever” resident green sea turtle, Captain. She calls the MEEC home as she was injured and is unable to be returned to the open ocean. 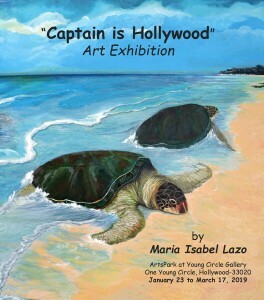 Its Captain who inspired a local artist’s latest gallery exhibit: “Captain is Hollywood” by artist Maria Isabel Lazo. The exhibit is featured at ArtsPark at Young Circle Gallery, located at 1 N Young Cir, Hollywood and is scheduled from January 23 through March 17, 2019. 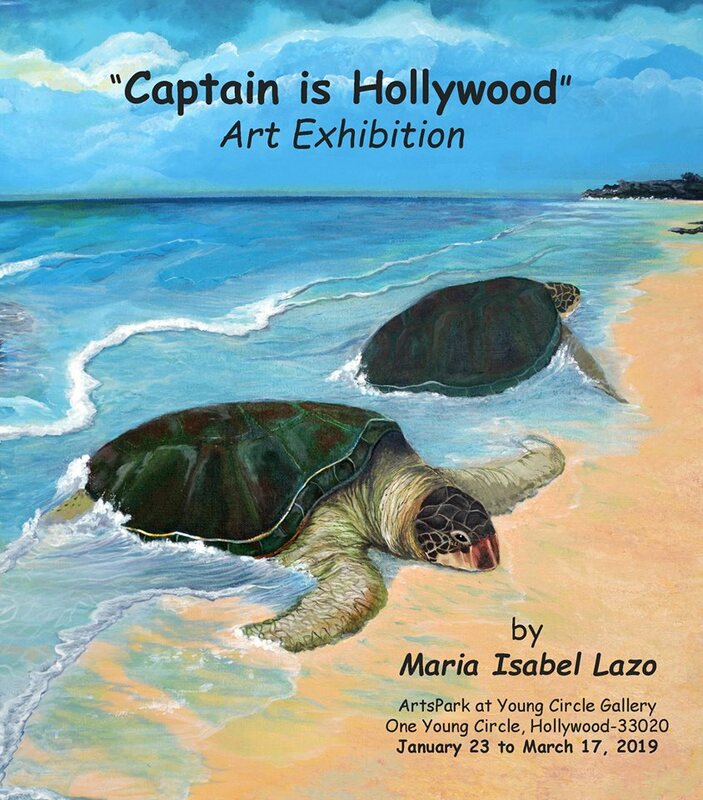 Because of her love of the ocean and involvement at the MEEC, Lazo has created various artworks that are for sale, with a percentage of the proceeds going to the education center.